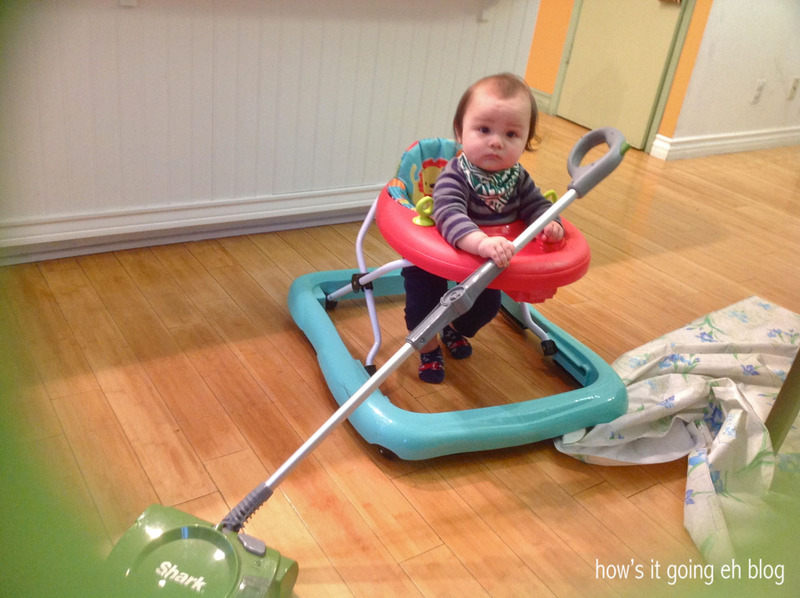 First Job After Baby | how's it going, eh? This week I got back into the saddle after over 2 years!!! While I was waiting for my permanent residency, Canada restricted me from working in the country. And since I couldn’t cross the border, I wasn’t allowed to work in the states either!!! Bother!!! After I made my flight plans to Los Angeles I emailed a bunch of old co workers to let them know I’d be ready to get back to work! Oh wait, I forgot to mention my family threw me a Welcome Back party over the weekend! There are barely any pictures!!! I was too busy touching all my friends faces, in total disbelief that I was truly seeing them in the flesh! “Is it really you?? ?” I kept repeating as I stroked their cheeks. The last time I saw all of them was over 2 years ago!!! The house was packed, the food was overflowing + I was in heaven!!! Langdon on the other hand was a little overwhelmed but charmed the ladies nonetheless!!! 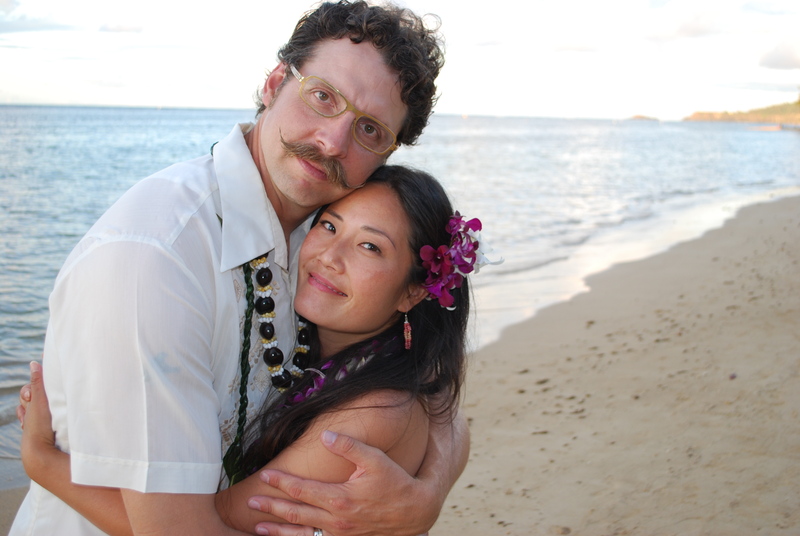 Picture courtesy of Kim Shek! Well, I am working the perfect job + I am so grateful!!! Part time, wrapping on a show! That means a 10 hour work day as opposed to 14-18 hours on set! 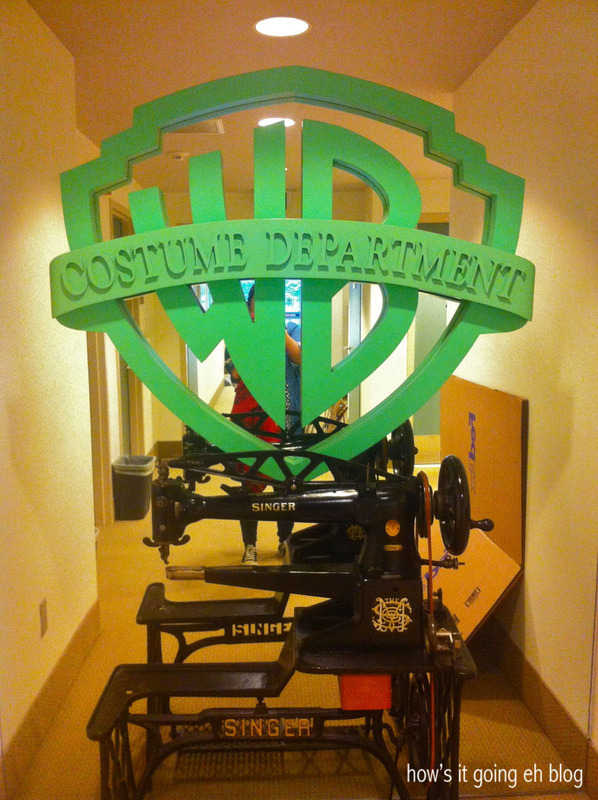 For those of you new to this blog I work in costumes in the film industry. 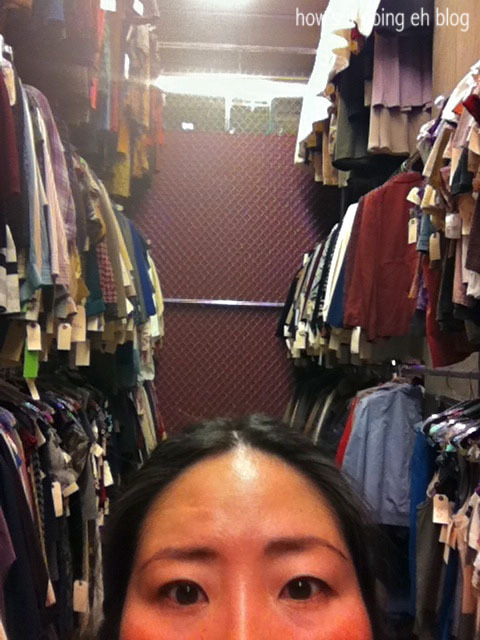 I drive to Warner Brothers Studio + walk into their costume department. I used to walk past that sign on countless occasions. After being gone for so long I stopped + thought to myself, “You know what, that’s pretty cool!” + took the picture. It’s so easy to take things for granted! Here is 1/16 of the clothes we are dealing with every day on this show. That’s alotta clothes, my friends. Since the movie is wrapped, we had a bunch of racks with costumes that needed to be broken down + sent out to be cleaned. No that’s not garbage – it’s the stinky clothes!!! 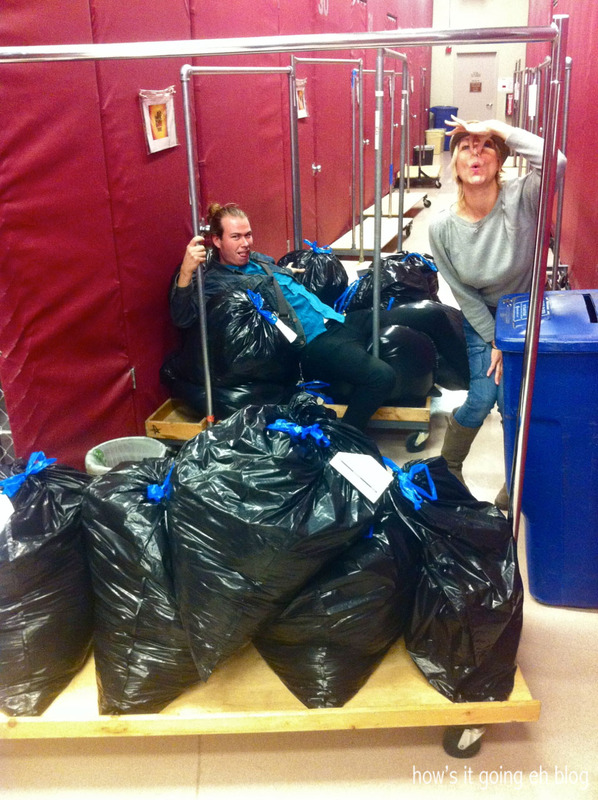 And that is the third load of cleaning that we sent out in a span of two days! People have the misconception that costumes is glamorous + full of pretty dresses + designer clothing. Sometimes it is, but mostly it is a lot of hard work, heavy lifting + can be downright dirty at times! Well grandma + grandpa have been doing a bang up job watching Langdon while I’m at work! They all make sure to constantly remind me when I get home from work that, “He didn’t miss you at all, not even one single bit!”. Gee, thanks. Every day he is helping grandma with housework! This boy is nuts about vacuuming. Probably because I am also bonkers about vacuuming + he heard it while in the womb + I wear him whenever I vacuum so it’s as if we do it together. 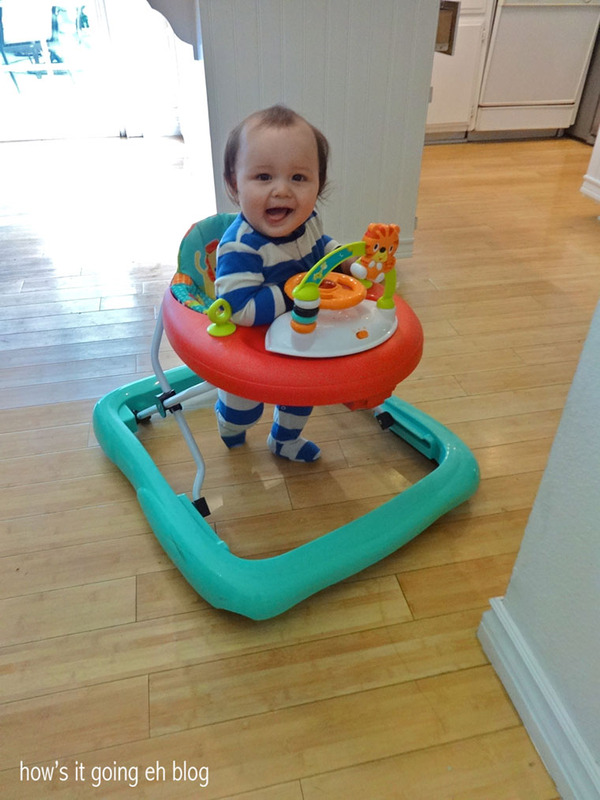 Grandpa got Langdon a walker which he is extremely skillful at using now. Zip zip zoom zoom!!! Forward, backward, scoot, scoot, scoot!!! Getting into trouble, scoot, scoot scoot!!! Baby led weaning (or baby led solids) is still going amazingly for us!!! Well….except for brussel sprouts + zucchini. 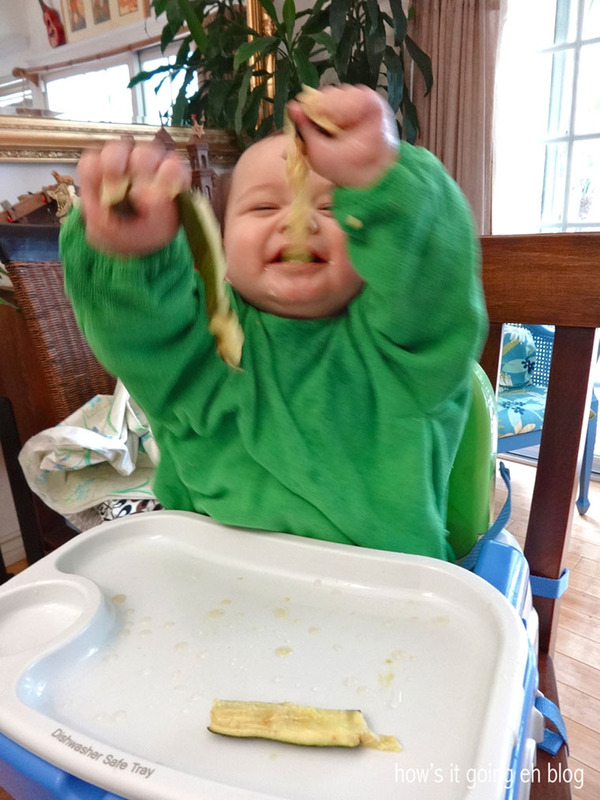 Here is Langdon saying, “DESTROY ALL THE ZUCCHINI!!!!!”. 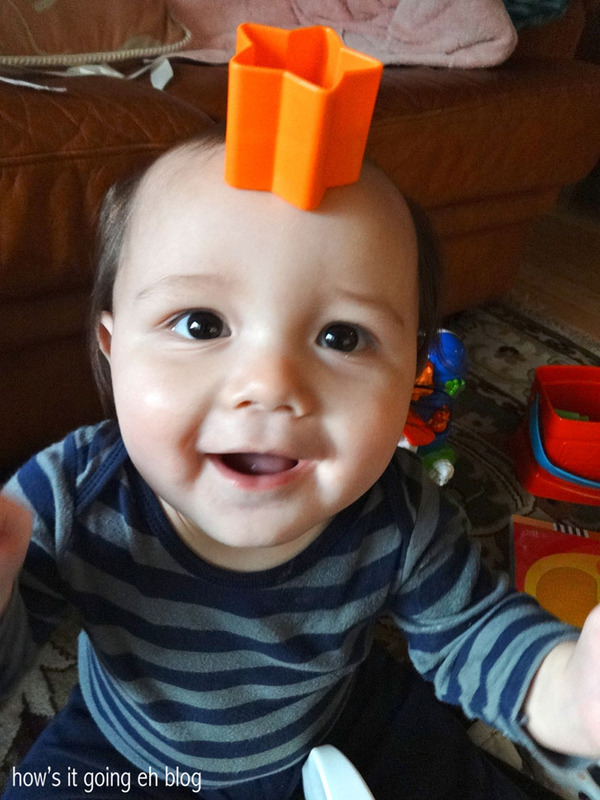 We’ve been playing a game lately where I’ll put an object on my head + then I place it on Lang Lang’s head. It brings us lots of joy + it comes in handy when we are in long lines at Target! 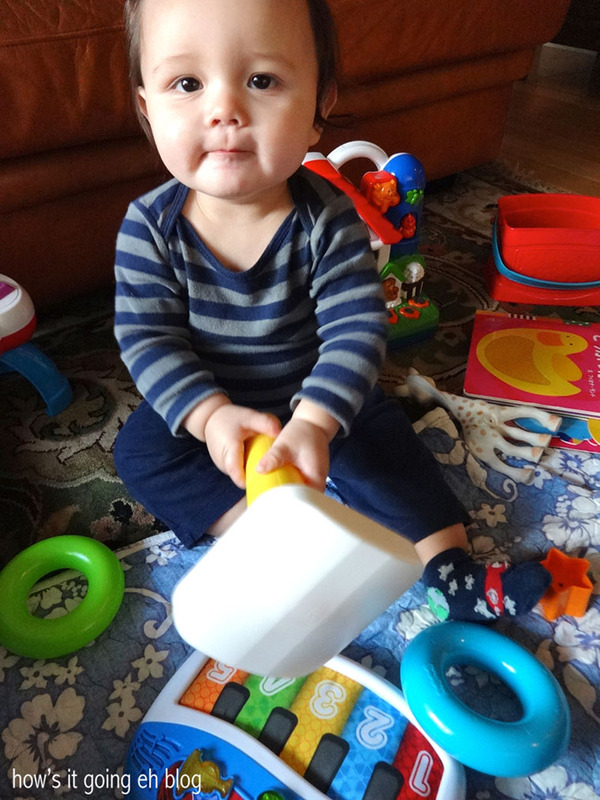 In this photo, the little menace is straight face looking at me as he uses a toy as a hammer to smash his other toys. His facial expression reads, “Are you gonna stop me? Huh? Yeah, I didn’t think so. Watch me. Smash.”. We don’t put him in the walker for too long a period of time. 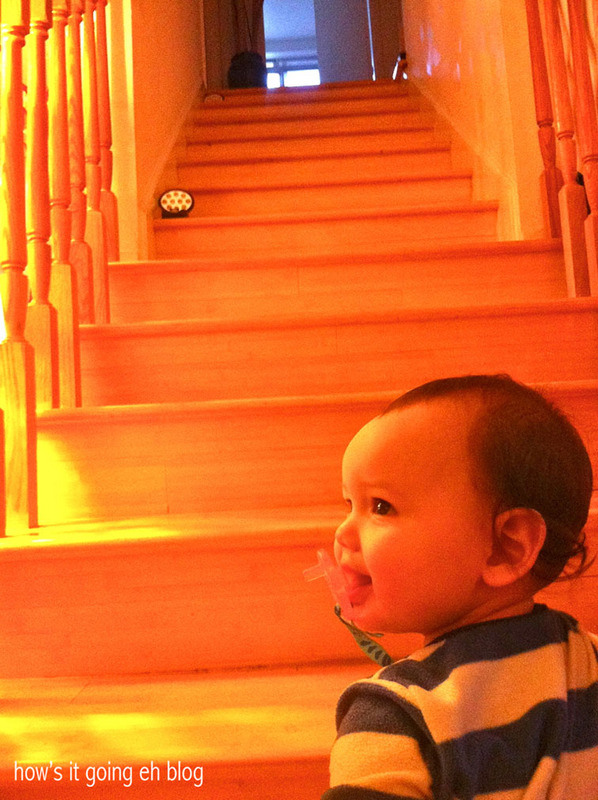 So his crawling is getting super fast + we shadow him constantly. 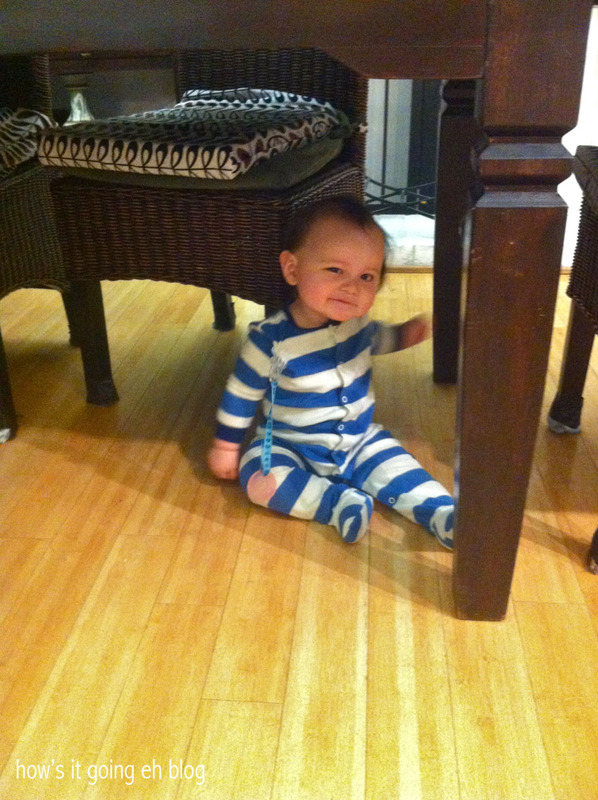 Check out that sassy little smirk as he “hides” under the dinner table. And climbing up stairs? Yeah, loves it. We “spot” him as he goes. Lord help us. 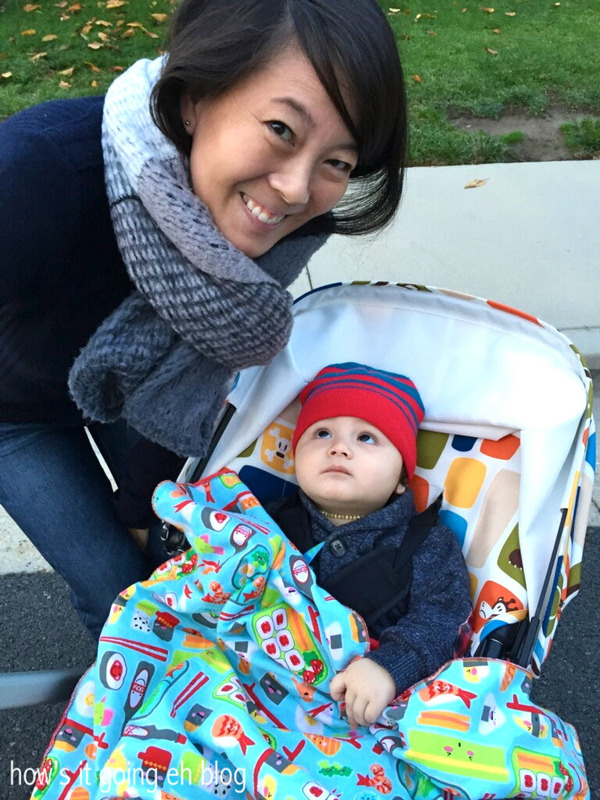 We try + get him outside for walks to mellow him out. Here he is staring adoringly at his Auntie. I call my sister “Princess Auntie” because every time she comes into the room, Langdon’s face lights up + he smiles from ear to ear!!! Ashley is a fancy, beautiful, sparkly Princess Auntie!!! 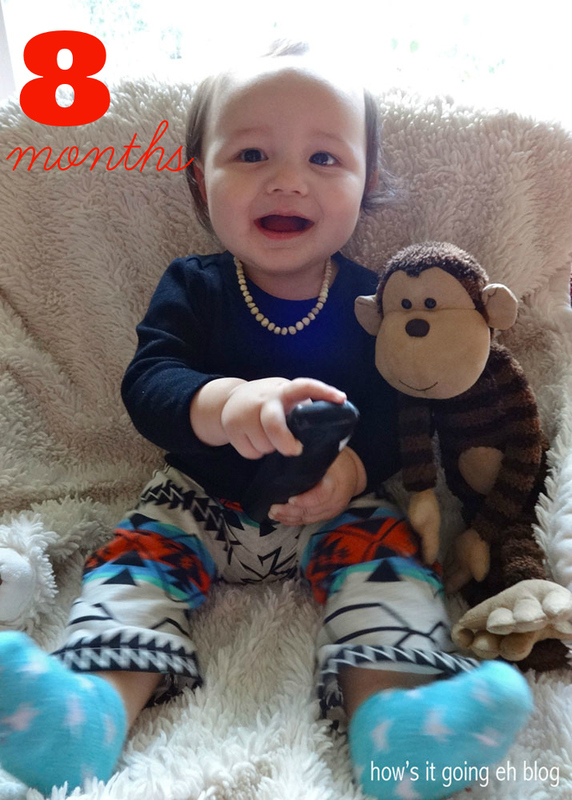 Well, Langdon turned 8 months old like weeks ago, but it’s been too busy! I finally got a picture with monkey. I’m not really that crazy about this photo, but it’s the best one out of the zillion I took. Good luck trying to get an 8 month old to sit still. He’s holding a phone because he insisted on it. I’m glad to be back at work + not on set since the hours are so long + it would be hard on my parents while looking after the baby! It’s been great + work feels like a vacation compared to raising a mini human! AND I get to see my friends + my brain is in a totally different space! I feel very, very, very fortunate!!! Christmas is a week away folks!!! And Jeff arrives in Los Angeles tomorrow!!! Ho ho ho!!! Love you all!!! Ho ho ho!!!!! And to you, G + B as well!!! XOXO!!! !